From its founding in 2012 with an "Invitation 2 Innovate" (i2i), to the premier this week of a new conference on open innovation, Lone Star College-University Park has innovation in its DNA. It's the newest of seven community colleges that make up Lone Star College, and it has a clearly articulated plan to be a leader in innovation. Here, CT speaks with Lone Star College-University Park's chief strategist for innovation and research. Mary Grush: I've read that Lone Star College-University Park was founded in 2012 with an "Invitation 2 Innovate" (i2i). Why is innovation important to your institution, and how did the focus on i2i come about? Christina Robinson: The founding of Lone Star College-University Park as an accredited institution was indeed in 2012, but its mission actually came into being back in 2009, with a vision to remake a large office complex that had once been Compaq Computer Corporation's world headquarters into a new college. Our planners envisioned a new type of college, built on their "Mall of America for education and careers" concept: a single place where students can get any type or level of education they need. 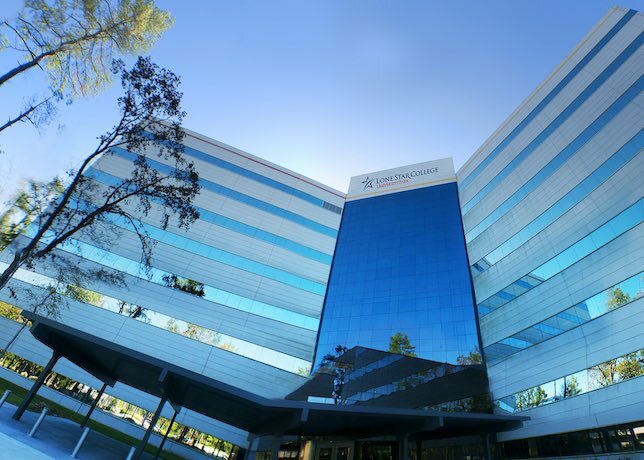 Our chancellor at the time obtained the massive, 1.2 million square-foot University Park facility (eight buildings), promising the greater north Houston community we serve that we would reimagine the focus of Lone Star College based on innovation, starting with this new, University Park location. Grush: How was i2i put into practice at your institution? Robinson: We wanted the University Park college to be a model for the 21st century. So, we planned for affordable access to quality education and focused on industry partnerships, on encouraging entrepreneurship, and on building community. All of these things together shaped the culture of innovation we have today. Innovation truly is in our DNA. 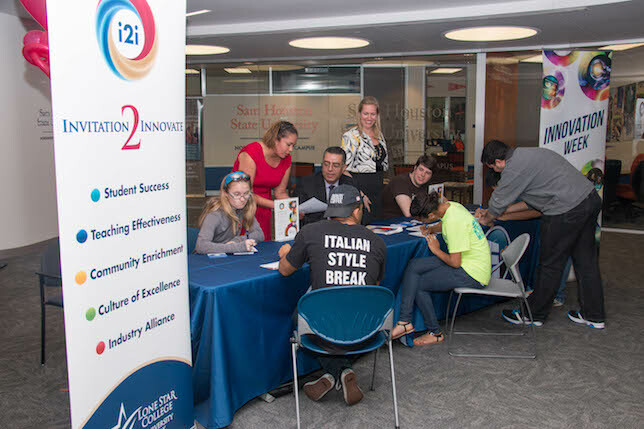 The innovations originally envisioned by our planners and partners are in place today at Lone Star College-University Park, and the college continues to build on its i2i foundation. Through partnerships with universities and the community, the college offers unique and diverse programs, from an early learning academy — starting with preschool — to an on-site high school, to advanced degree programs all the way through the doctoral level. Working in partnership with our local industries, we have a corporate college onsite that provides customized workforce programs. Bold programs such as these carry the college's mission of service to the community to new heights and provide a network of opportunities for everyone. Faculty, staff, and students connect with our partners and leverage an array of resources not typically found at community colleges. And technology is, as usual, an important part of innovation. 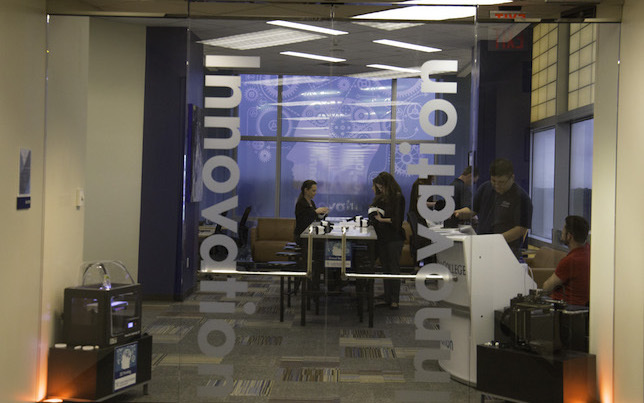 An innovation grant provided by our chancellor has allowed us to work with technology vendors to create a cutting-edge Innovation Room loaded with the latest technology tools, from virtual reality, to augmented reality, to 3D printing, and much more. Everyone is invited to use these tools as they consider their own innovative ideas. It's important to understand that "i2i" is inclusive. The philosophy was clear from the beginning: For our emphasis on innovation to be successful, we needed to engage everyone, across the board, in i2i. Grush: Then does i2i include community and industry partners as well as faculty, staff, researchers, and student participants within the college? Robinson: Yes, it does. i2i specifically references student success, teaching effectiveness, community enrichment, academic alliances, and industry partnerships, but your more general point is correct: Partnerships for innovation are inclusive and work across departments, organizations, and sectors. Grush: Is this "open innovation"? Robinson: Yes, it is, and the openness and ability to engage the talent and expertise of partners across multiple organizations and sectors is really what makes innovation work. It's a synergy of business, community, and academia, all working toward the same goals. 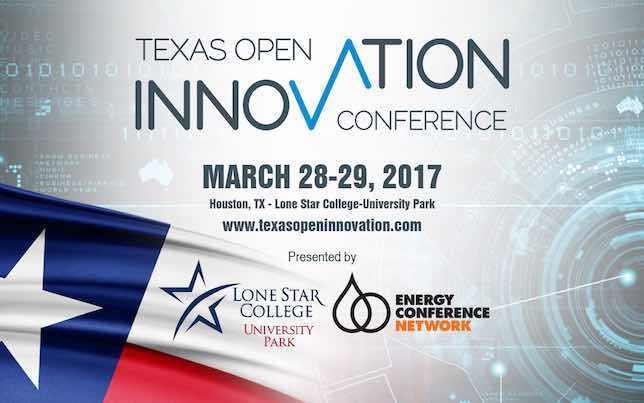 Grush: Lone Star College-University Park is hosting the first Texas Open Innovation conference March 28-29 — this Tuesday and Wednesday. Can you tell me a bit about that conference and why your college is hosting it? Robinson: We've partnered with the Energy Conference Network in a joint effort to offer this, the first-ever Texas Open Innovation conference. This year's new conference evolved from our "Innovation Week" events (photo, above) held at the college in previous years, starting in 2015. Those events encouraged faculty, staff, and students to try new ideas. Continuing with the open innovation principles that guided the success of our Innovation Weeks, the new Texas Open Innovation conference will leverage the best of the best thinking from a wider range of speakers, attendees, industry partners, conference sponsors, the Energy Conference Network, and Lone Star College-University Park, so that innovative products, processes, and practices may emerge — and may ultimately be developed in the most effective, efficient, and timely ways possible. The new conference brings higher education institutions, businesses, and our communities together to fast-track innovation, both for our partners in the community and for our students. We're quite excited about the conference content and what attendees will gain as they explore the science of open innovation — they will not only hear from expert speakers; they will also experience all the stages and elements of open innovation, from innovation architecture to idea generation, opportunity identification, and sustainability. And we expect that new partnerships will be formed at the conference. Grush: Are colleges and universities in general good places to foster innovations and partnerships for innovation that will impact and create change not only for their students and education programs, but also for their regions, their surrounding communities, the professions, and the academic disciplines more generally? Robinson: Yes, definitely. It's clear that at colleges and universities around the country today, huge changes are occurring across the board, in education delivery systems and curriculum models, assessment, degree pathways, business practices, student services… New, innovative programs and processes are everywhere. From a business perspective, innovation, reinvention, and transformation are terms that you'll find at the top of the list of strategic priorities for most institutions. So, they are ready to innovate and to explore partnerships. And higher education has a rich history of innovation. Grush: Is there a special role for community colleges in open innovation? Robinson: Yes, there is. If you look at community colleges today, you find that they are less and less able to take a "business as usual" approach to their operations — they urgently need to rethink how outcomes are delivered and how they are going to continue to serve, given changes in funding. So community colleges in particular are starting to ask themselves the question we asked ourselves: How can we establish partnerships and collaborations that will allow us to keep our enduring goal of offering students the best possible learning experiences — while we innovate and find our place in new models of education? Community colleges do have a role in starting the conversation around that question. This is the right place for open innovation.